Items in this store are produced and marketed by SPIN members or instructors or speakers at SPIN conferences and Festivals. If you are interested in placing items for sale in this store send a message to the shopkeeper. 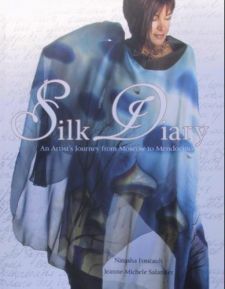 A showcase of silk art including garments, accessories, home decorations and fine art created by silk artists like you. One of three popular books by these authors; the others are out of print. $US30.00 retail. Selling for $US20.00 plus shipping. contact here. $30 plus shipping. 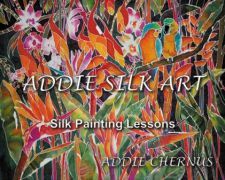 To purchase email Addie here or visit her web site www.addiesilkart.com.